No time to paint today. Here is a sketch of a person who is not feeling very well at all. 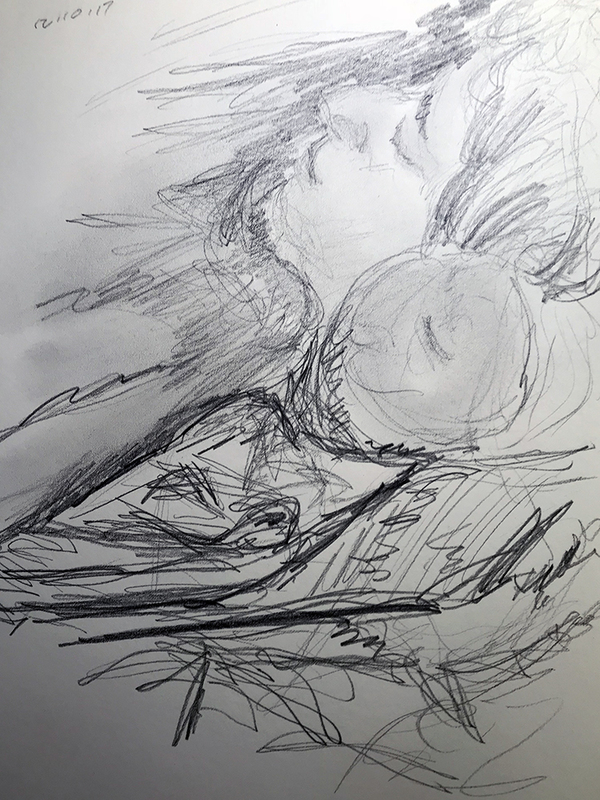 This entry was posted in Personal Stories and tagged artistic process, creative process, creativity, drawing, portrait, portrait sketch, portraiture, sick person, sketching, visual arts. Bookmark the permalink.